Connects to 2481HKR mid-length headers with adapter P/N 42113HKR. Connects to 2332HKR and 2333HKR full-length headers as-shipped. 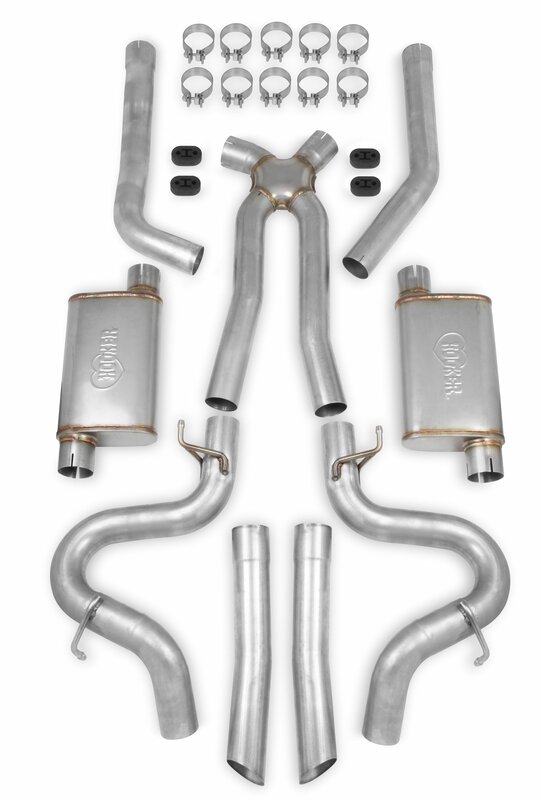 Full stainless steel exhaust system comes complete with stamped crossover for a broad torque curve, TIG welded stainless steel straight through designed absorption style mufflers, for applications up to 450HP; single turn-down exit under each quarter panel for an stealthy look.